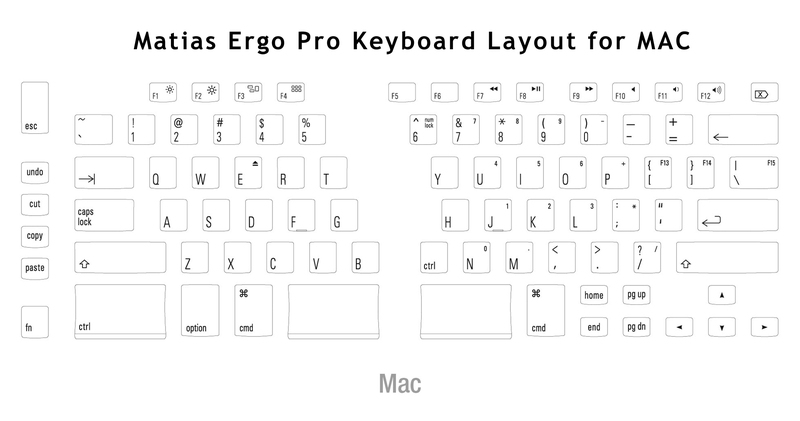 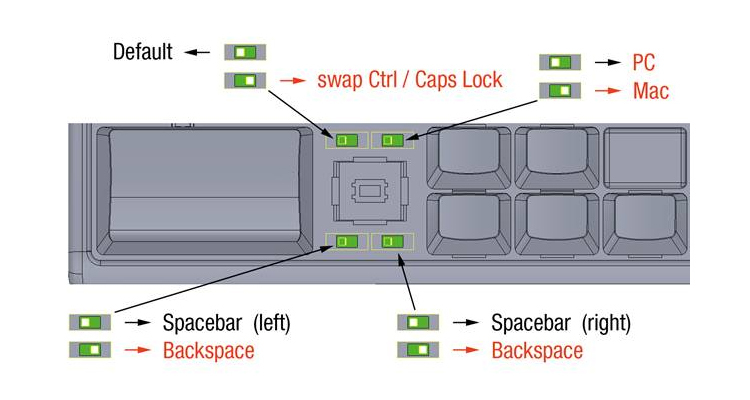 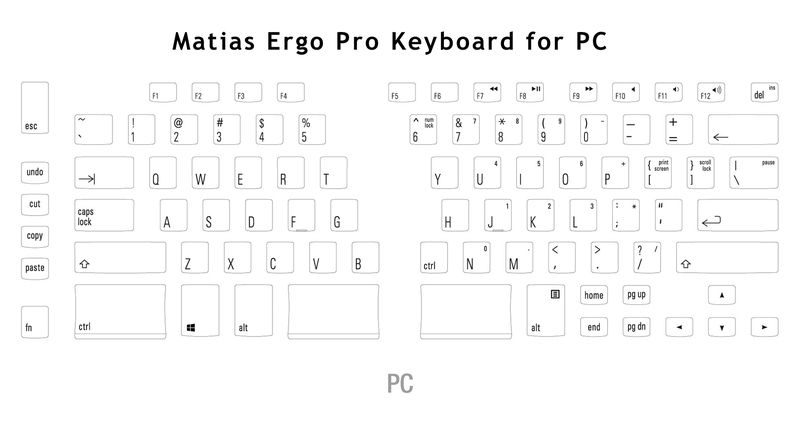 Improves Upper Body Posture - The separated design of the Ergo Pro keyboard allows all users--whether small, medium or large framed--to position the left and right keyboard modules shoulder-width apart. 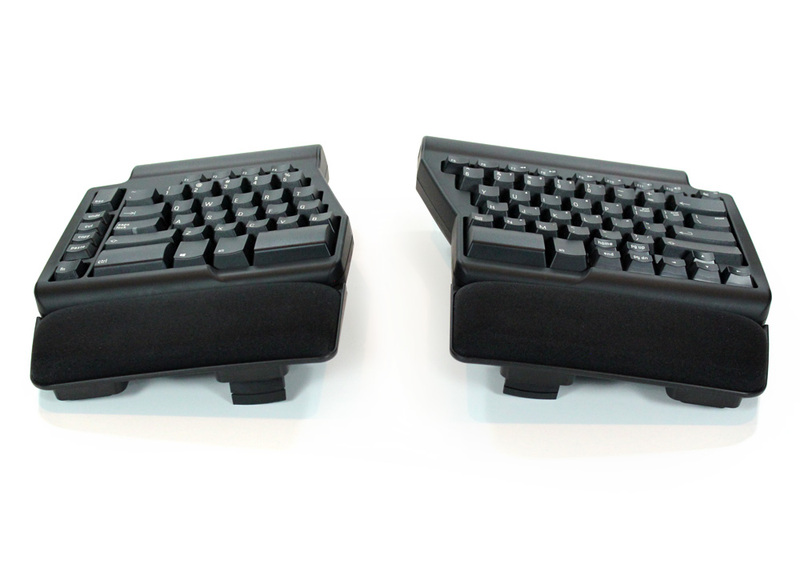 This allows the shoulders, elbows, arms and wrists to relax into an anatomically neutral position, improving upper body posture and blood flow. 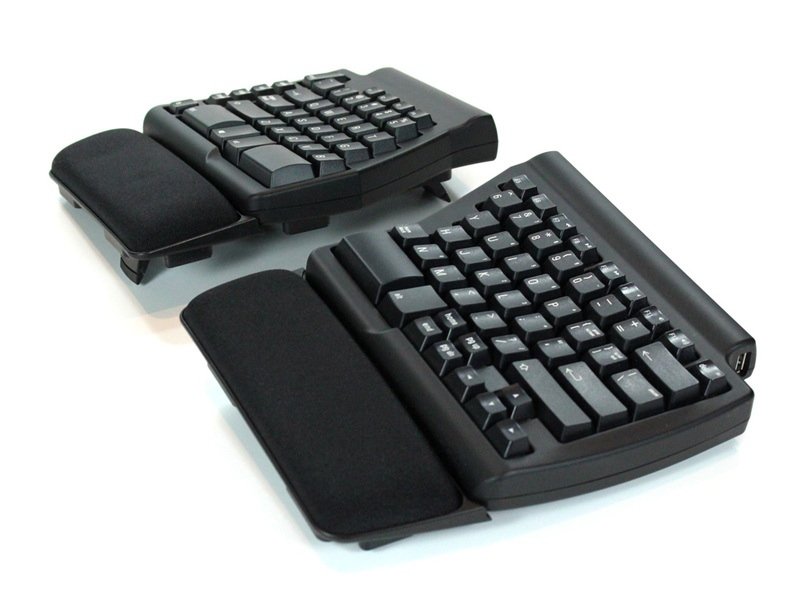 Padded palm pads provide a comfortable base of support for outstretched forearms, leading to a reduction in the load that would otherwise be borne by the muscles of the shoulders. 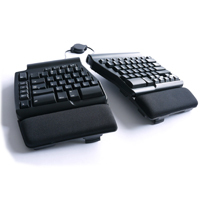 Reduces Strain on Shoulder and Neck - The compact symmetrical design of the Ergo Pro keyboard allows both left and right-handed users to keep the mouse within their own comfort zone, vastly reducing strain on the shoulder and neck muscles of the mousing side. 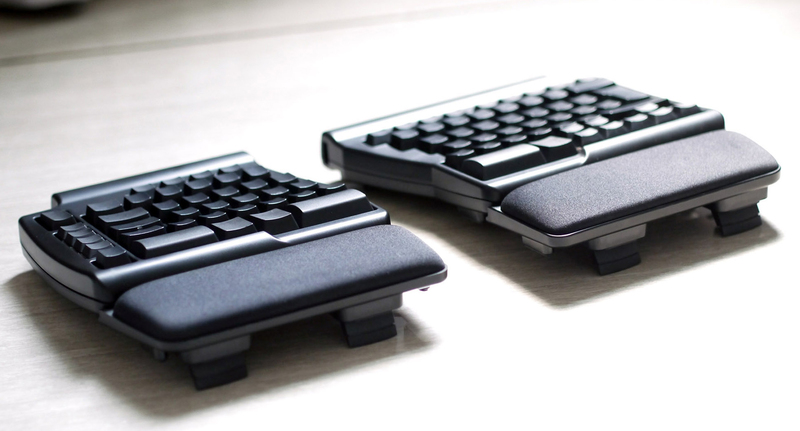 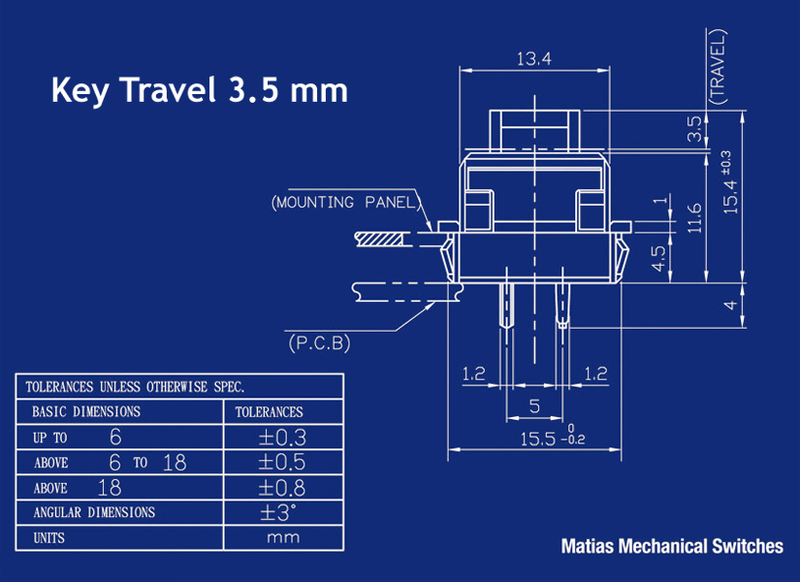 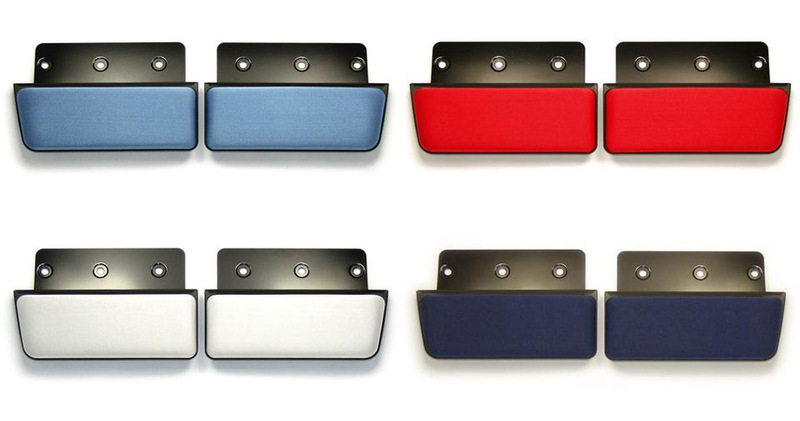 Matias Quiet Click Mechanical Keyswitches: Custom-engineered by Matias, the durable mechanical keyswitches are quiet enough to use in an office environment, and are almost as quiet as conventional rubber dome keyboards. 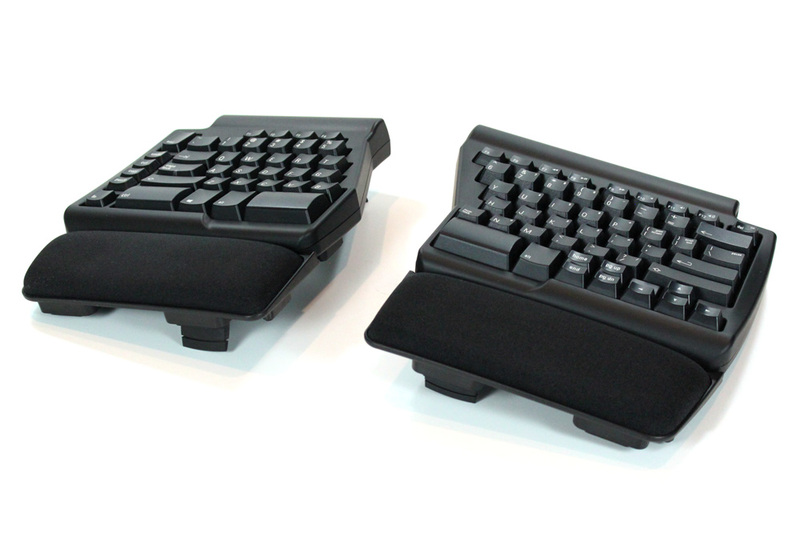 However, they still provide the tactility and high performance demanded by experienced, proficient typists.